The front of this stately residence demanded a landscape re-design to reflect the grandeur of this brick home. 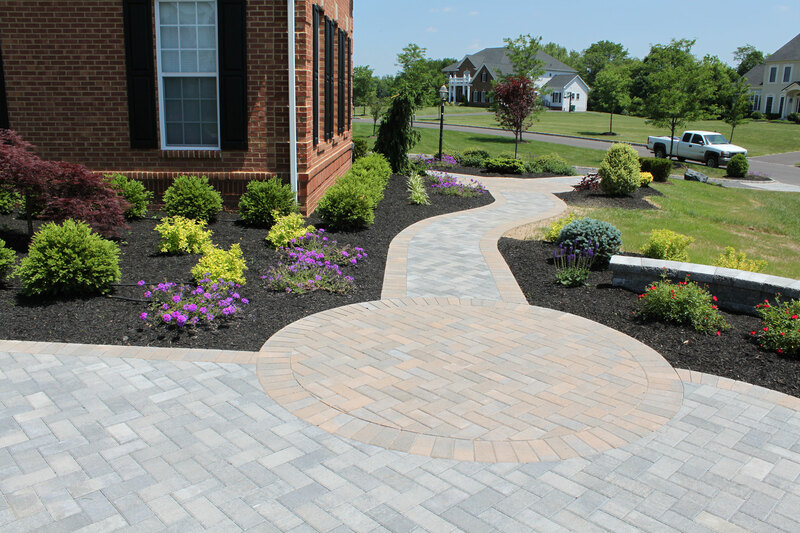 The builder landscape package and basic concrete walkway was not adding any visual impact. 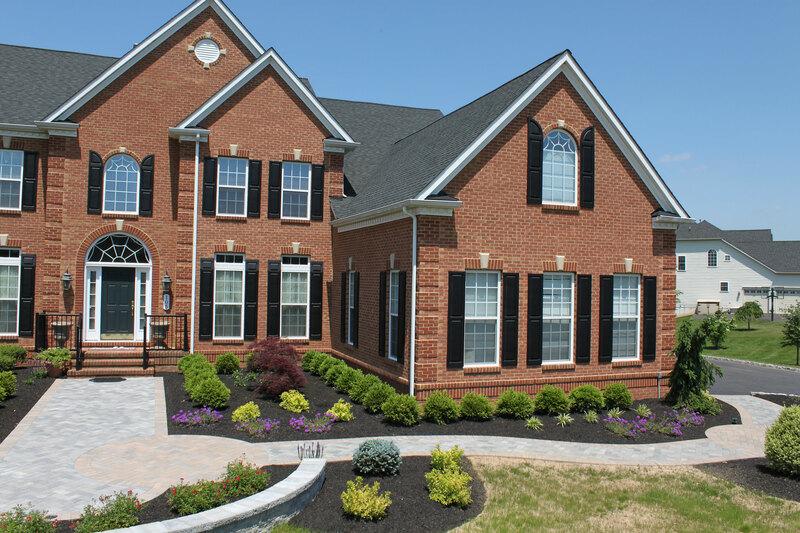 We designed the landscape to touch upon the formal features of the home’s architecture. The elongated walled courtyard paver entry helps to balance the scale of the house. Note how the herringbone brick paver pattern directs visitors to the main entrance. 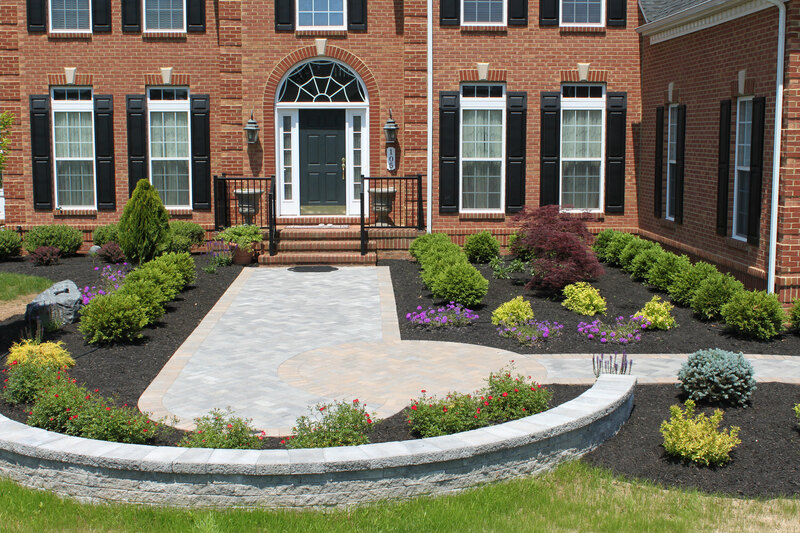 Curved sweeping lines used in planting beds adds elegance for the flowering trees and hedges that can be sheared. 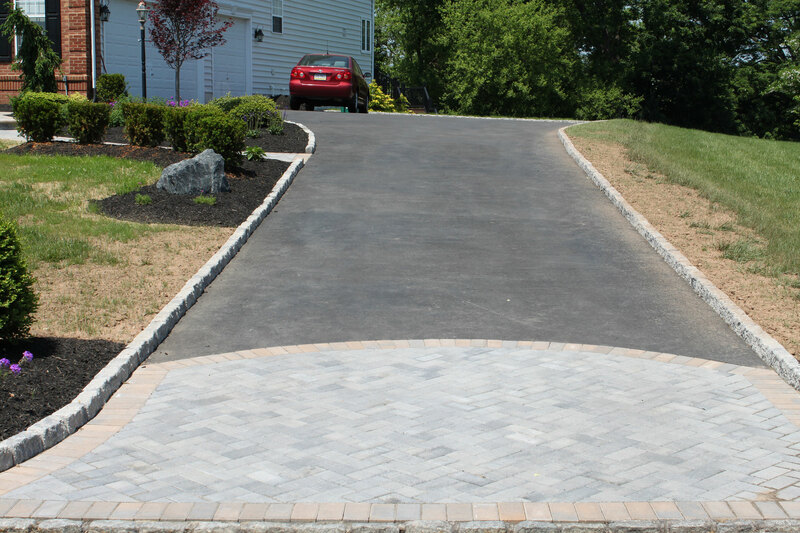 The cobblestone edged driveway adds extra sophistication; the paver driveway entry sets the tone for the upscale landscape. Repeating of the circular pattern in the walkway counteracts the angles of the home’s architecture. 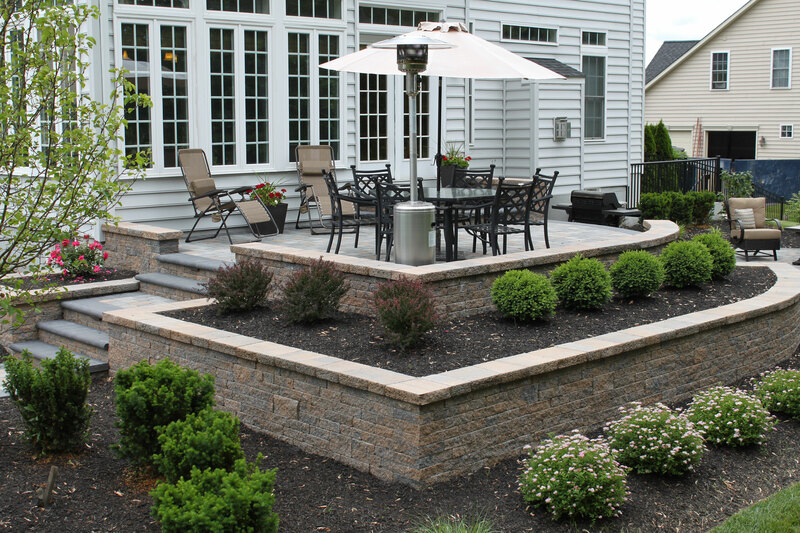 Plantings included the use of many colorful shrubs, perennials and ground cover to introduce texture and balance in the design. 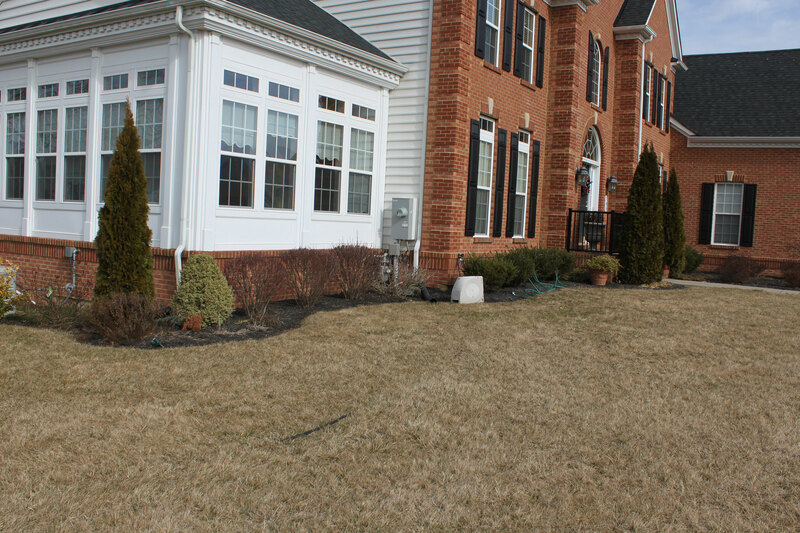 Plantings were chosen to provide interest in all seasons. 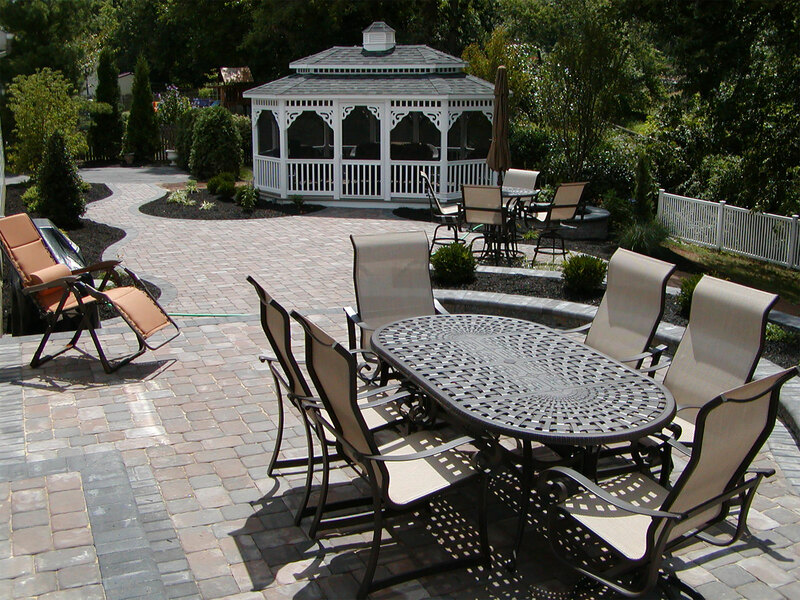 The grey paver color contrasts nicely and does not compete with the home’s red brick. This is a before picture before we began the transformation.